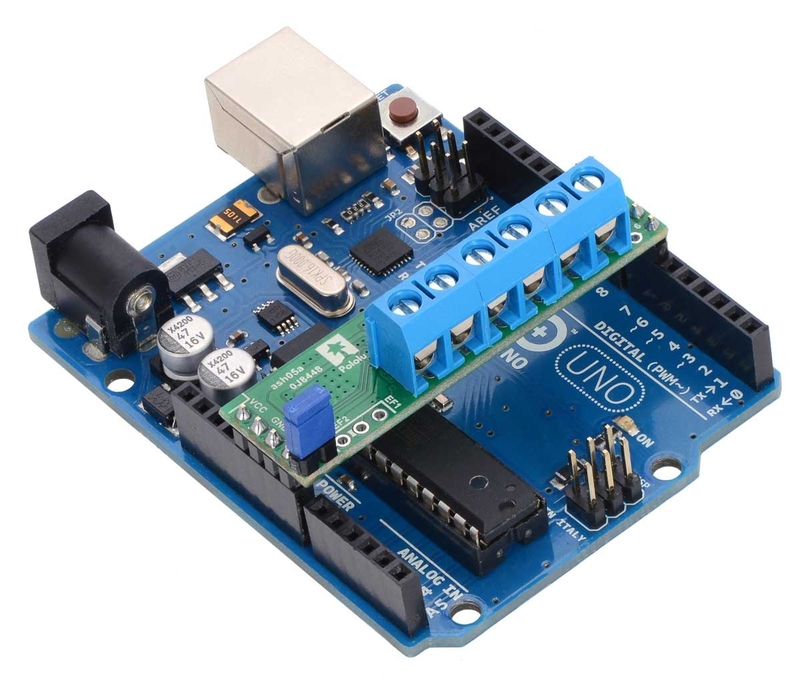 This motor driver shield and its corresponding Arduino library make it easy to control a pair of bidirectional, brushed DC motors with an Arduino or Arduino clone. The board features Allegro’s A4990 dual H-bridge motor driver IC, which operates from 6 V to 32 V. It can deliver a continuous 0.65 A to each motor channel, and the current control feature of the A4990 limits the peak motor current to about 0.9 A per channel with the onboard sense resistors, making this shield well suited for low-current, high-voltage motors. 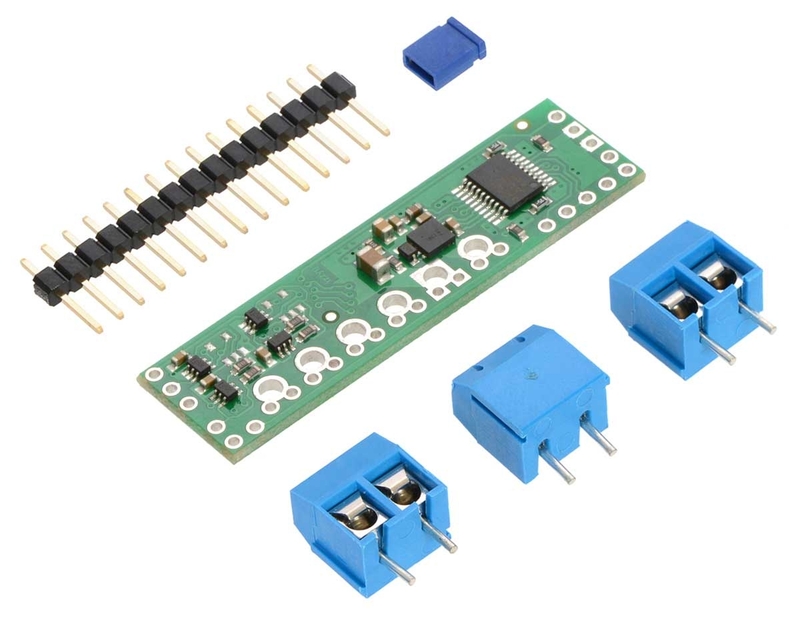 The shield ships fully populated with its SMD components, including the A4990 driver and a FET for reverse battery protection; header pins for interfacing with an Arduino and terminal blocks for connecting motors and power are included but are not soldered in. The shield uses digital pins 6, 7, 8, 9, and 10 for its diagnostic and control lines. 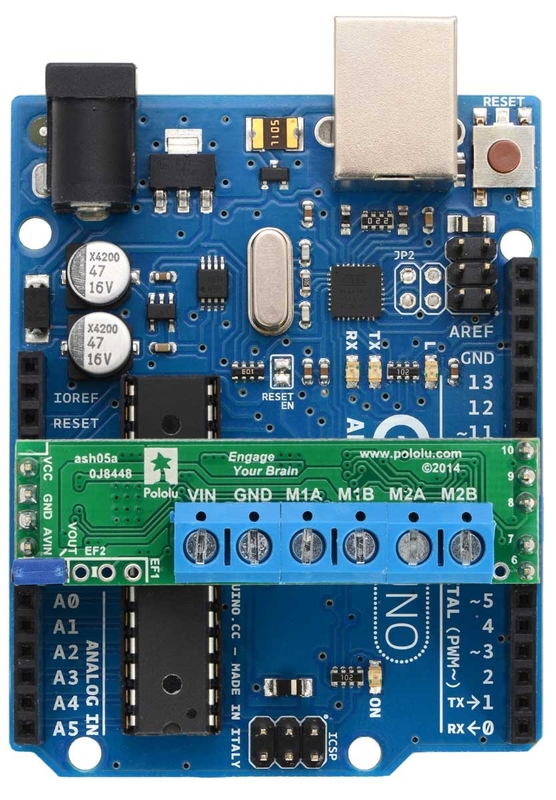 It should be compatible with any board that has a standard Arduino pin arrangement and the ability to generate PWM signals on pins 9 and 10, such as an Arduino Uno, Leonardo, Due, or Mega 2560. For a lower-voltage, higher-current alternative to this shield, please consider the DRV8835 dual motor driver shield. 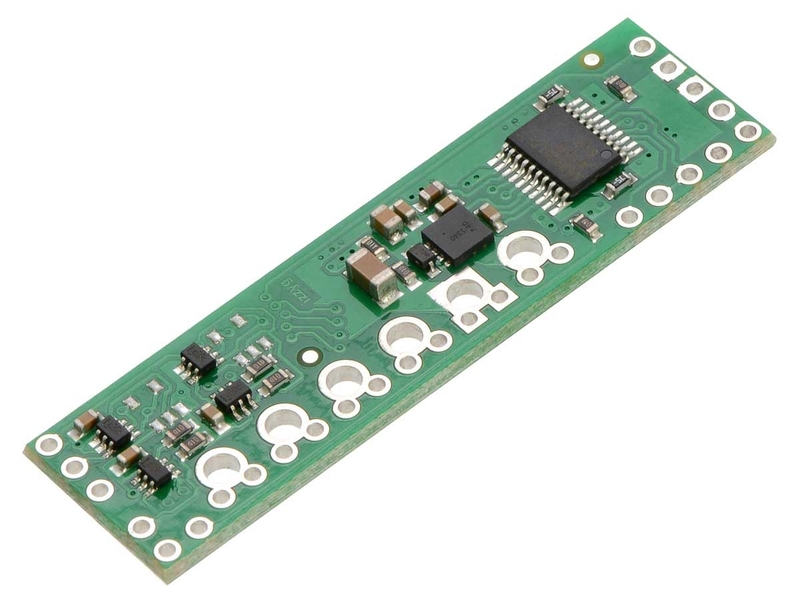 We also have a smaller A4990 carrier for those using something other than an Arduino or with tighter space constraints.